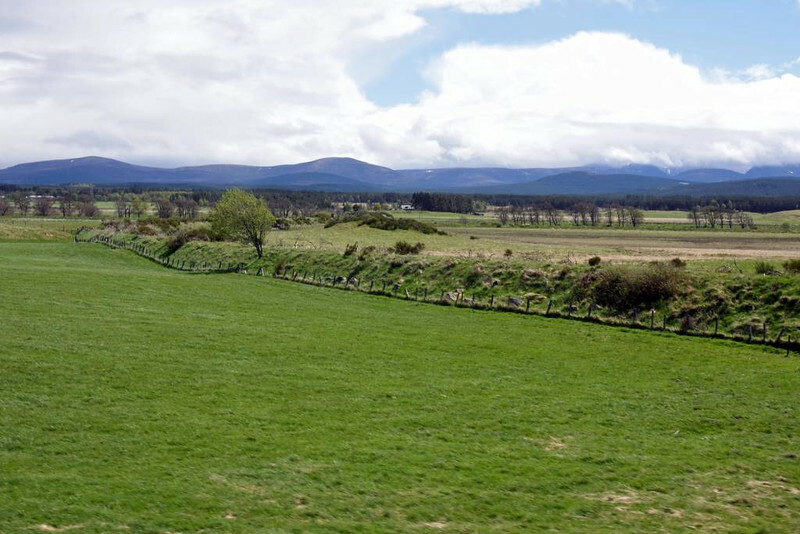 Trackbed of the GNSR Speyside branch, south of Broomhill, Thurs 28 May 2015. Loking south east. The Great North of Scotland Rly line ran from Boat of Garten to Craigellachie. Branches ran from Craigellachie to Elgin and via Dufftown to Keith. The Keith & Dufftown Rly now operate the latter stretch of line.